Researchers asked the shippers a series of questions about this year’s freight plans, including truckload, intermodal rail, less-than-truckload, airfreight and less-than-containerload ocean transportation. They also asked shippers what their top concerns were in 2017. 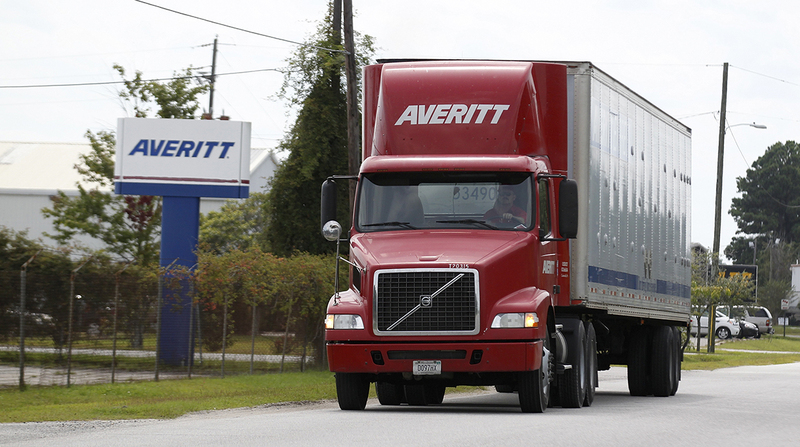 More than 1,600 shippers participated in the study, which was sponsored by less-than-truckload carrier Averitt Express. When questioned about volumes in 2018, some 75.9% said they’ll ship more freight, 21.9% said it would be the same and only 2.2% said it would decrease. Last year, the results were 73.4%, 28.6% and 2%, respectively. And in 2016, they were 68.4%, 28.5% and 3.1%, respectively — so the trend is heading in a positive direction. Although the researchers did not delve into the ‘why,’ American Trucking Associations chief economist Bob Costello cited the strong economy. But as the trucking industry benefits from the economy, and the electronic logging mandate squeezes an already constrained supply of truckload drivers, shippers note the lack of capacity is a challenge. The survey found 37.6% of shippers identified rate increases as the biggest challenge in 2017, although that was down from 38.4% in 2016. Lack of capacity was the only category in which concerns grew year-over-year, rising to 19.3% from 11.1% in 2016, listing it as the top difficulty in 2017. “Struggling to manage service, we are seeking partnerships with LTL carriers that we normally wouldn’t consider,” one respondent said. Averitt spokesman Joe Greek said the LTL market also always experiences a spillover in freight when truckload capacity is tight. Shippers may choose to shift some freight from trucks to other modes, such as intermodal rail and airfreight. In general, intermodal rail offers a lower cost option than over-the-road team trucks on long hauls. Airfreight is becoming more popular, according to industry analysts, due to the speed of the supply chain related to e-commerce. But the majority of the 1,600 respondents do not intend to use either railroads or airplanes to transport freight in 2018. Only 26.1% of shippers said they would use airfreight and 20.3% would use railroads in 2018, although it was higher than the 21.4% and 15.8%, respectively, in 2017. “Capacity shouldn’t be an issue in most cases as the major rail operators have been preparing ahead of time to allocate equipment and labor as needed,” according to the report. Frustrations from international shippers grew in 2017 with the top issue being customs clearance. The survey found about 33% of respondents called customs the biggest logistics roadblock, up from 28.4% in 2017. The rate at which shippers experienced problems with multiple service providers on international freight, including customs brokers, freight forwarders, ocean carriers and draymen, grew to 16.3% from 11.3% in 2016. The results were consistent with the frequent complaints of cargo owners in a petition filed with the Federal Maritime Commission on detention and demurrage fees, referring to charges assessed when truckers don’t pick up or return containers within an allotted free-time window. Tammy Deininger, logistics manager at Volcafe USA, discussed one such situation with a container of green coffee beans in written testimony submitted on Feb. 17, 2017. “Cargo was put on a [Contraband Enforcement Team] exam and sat for over three weeks waiting for examinations to be completed. Due to these untimely exams, we not only had to pay outrageous exam fees but on top of that, we were slammed with a demurrage bill of over $5,000,” she said. A CET exam is an intensive customs inspection of a particular piece of cargo to check for contraband, such as drugs. Usually it takes longer than a normal customs inspection of a container.